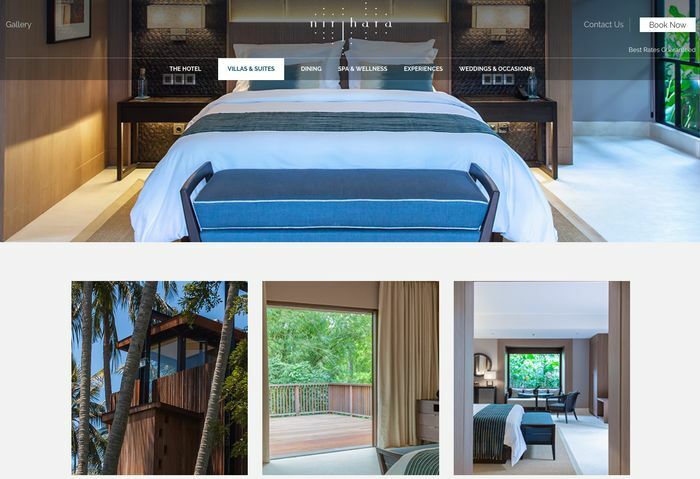 How Tourism in Bali Affecting the Design of A Website? Bali is popular for its tourism in the world. Travellers are coming and going every single day for many purposes; doing businesses, visiting destinations, researches and many more. As there is a high potential market that is targeting the travellers, many businessmen are using the websites and trying to reach them all. If you are looking for the online news or information that covering all about Bali, it is almost impossible that the sites you are going to click and read won’t want to talk about the existing tourism. That’s what Bali is for; tourism has been becoming the vein of the province since a long time ago and that’s all how most of us knowing about it. Does it even possible to correlate the tourism in Bali and how the websites are designed? If you are doing a small research about the sites that are focusing on tourism topic in Bali, there is a big chance you will find out that many of the website designs are focusing on graphic files such as images and videos that are offering products and services. Accommodation offer in Bali with elegant images as the main content. The first reason for that can be caused by there are so many tour and travel operators that are offering their business to customers (potential travellers). And it can also because of using images and videos to offer the products and services is always the best thing the businessmen can do through their sites. Therefore, you can say that you mostly won’t found sites with the rigid colour combination since many of the contents or pages will be so beautiful and make you spend more times in the site you have clicked before. So, yes it is really correlates when the tourism in Bali is affecting how the websites will be designed base on what the most content types will be dominated the sites. Images and videos are the two different content types that can be the main content of a site and will also be the main supports to make a page looks interested to be seen and read. While images and videos are displayed by the certain dimensions or sizes, later this will also be affecting how the site will be designed especially the width of a site as a whole or for certain pages. From what I have seen and researched, marketing the tourism in Bali is also means to provide more images and videos to make the travellers want more about the tour products and services. If most of the businessmen are taking advantage of them, it is not impossible if the interesting website design will be contributing in encourage the site visitors to take an action as the businessman need. If you are offering the travel packages through website, its design is possible to affecting the visitors judgement about how professional your business is. But, there is as well a challenge especially for the website designers in Bali which is, the more businessmen are using the websites to market their travel businesses, the web designers should also be more creative to make a different and unique web design. So that, you have to carefully decide where your travel business website design Bali will be made because finding and hiring the professional and experienced web designers are the important things to do and can also be challenged since there are various offers for that. In the meantime, now you have seen how big the tourism is affecting another aspect of a business where its small part just like its web design is also influenced by it.